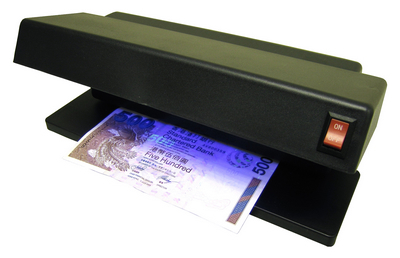 The Ultraviolet Banknote Detector according to the all kinds of banknotes features to detect, which is made of good quality components and adopted the world advanced techniques. It has the latest design to avoid your eye expose directly to the ultraviolet light because it will damage your eyes. Furthermore the function is complete, accurate detection and convenient use. Therefore it is a good detecting assistant. Suitable: I.D. Card, Passport, Credit Card, Office Document.